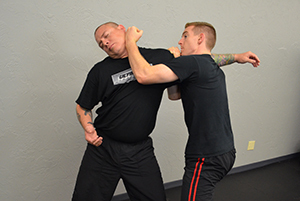 Krav Maga is the ultimate form of street-ready self defense and fitness. 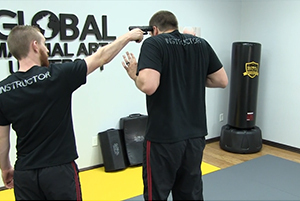 You will begin by learning the basic principles of handling an attacker, how to end a confrontation quickly, and eventually get into gun, knife, and ground defense. 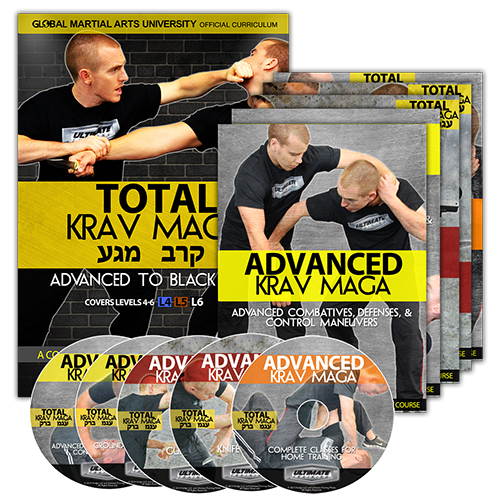 Total Krav Maga® will teach you every single technique from white to black belt, along with practical training drills, classes, and workouts. You will build overall strength and explosive power throughout your body. Escape from your workweek and rediscover a sense of wholeness as you train. Discover the security that comes from being able to protect those you care about. At first glance, it might seem difficult or nearly impossible to learn a martial art at home. We have been constantly improving our home study courses since 2008. Being a pioneer in Distance Training, we have continuously added features and training to our student experience to make it as real as possible. In this video, you can watch how two Total Krav Maga students from Ontario, Canada completed the journey to black belt via our course. 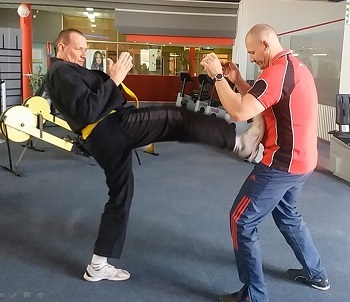 You will learn about the style, how to use the course, the principles of Krav Maga, basic stance, movement, and footwork. There are also 5 White belt classes to get you oriented to the style. 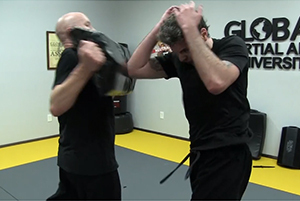 Devastating but simple strikes to end a fight quickly: palm strikes, punches, elbows, hammer fists, knee strikes, front kicks, finger strikes, headbutts, and more. Each defense is instructed with multiple angles, speeds, and detailed instruction. 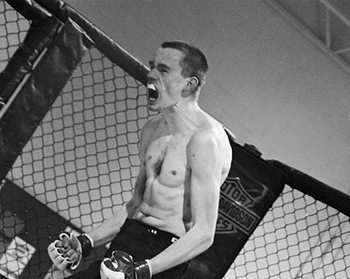 Guillotine, rear naked choke, wrist grab, bear hugs, side head lock, ground chokes, and much more. 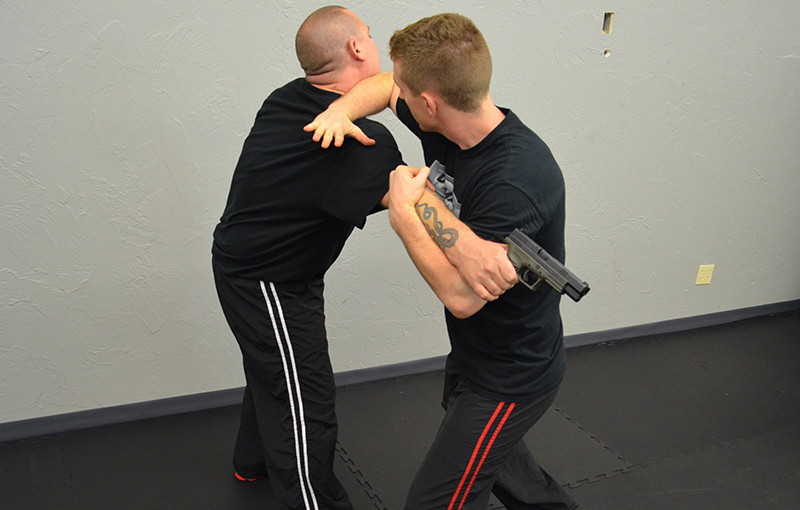 You will learn blunt weapon defense, defending against knives and bladed weapons, and gun defense and disarms. Practical applications and detailed instruction. How to control and restrain an opponent: takedowns, wrist lock control, setting up cuffing procedures, Defending to control, and ground control positions. The reality is, many fights will go to the ground. 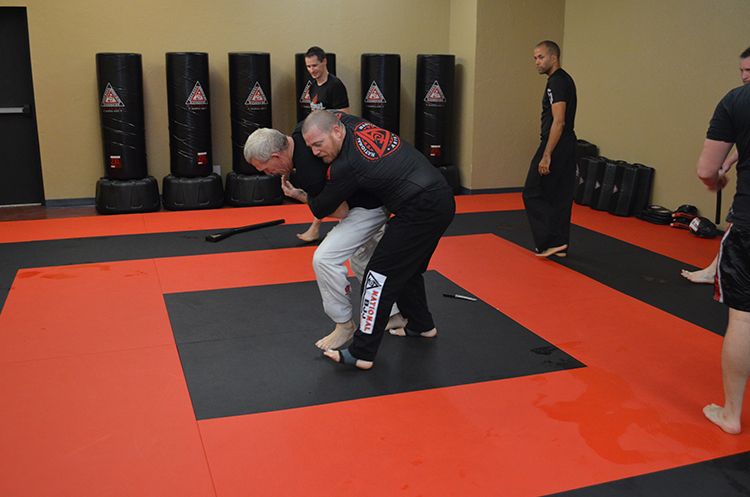 You will learn ground defense positions, kicks, defending chokes, defending mounts, armbar, kimura, and more. Just like attending a live krav maga class. Our guided classes include warm ups, drills, technique lessons, and more. The perfect way to practice your new techniques. 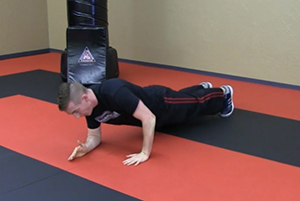 The Krav Maga Workout is a killer set of routines that will get your body into fighting shape, while embedding the life-saving techniques into your muscle memory. Even more training. See a complete Example Yellow Belt Exam. 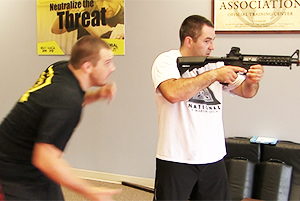 Watch the "How to Survive an Active Shooter Seminar", along with bonus techniques and extra home practice drills. 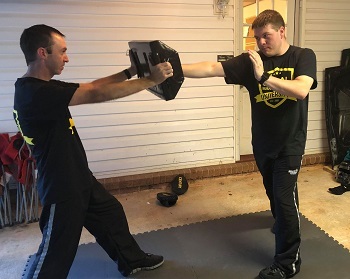 In this first class, you will get introduced to the basic principles of krav maga, including your stance, and proper movement. Follow along with Adelaide as he takes her first private lesson from Mr. South. You will learn the basics, do a drill, and learn about using hand targets. You're busy and life can get in the way. We made this program flexible so you can train at the pace that fits your life. You will take challenging tests submitted to a real instructor so you can earn and be proud of your rank. Your teachers are experienced Krav Maga black belts Dustin Koppel and Michael South, so you will be learning from the best. You will have everything you need to go from white to black belt. There is no guesswork in the training plan. We add new material and "evolved" techniques to our curriculum as time passes. You are training with the latest and greatest. You will be joining the ranks of over 1000 students from around the world working toward similar goals and encouraging each other along the way. 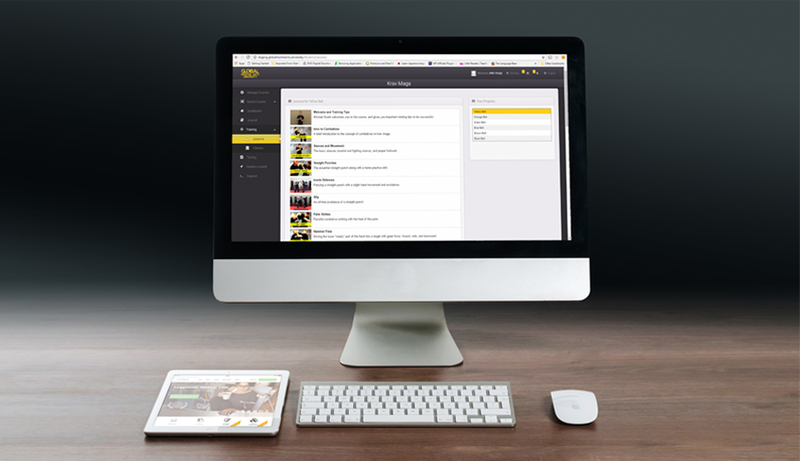 Access your courses from any device so you can take your training with you on the go. 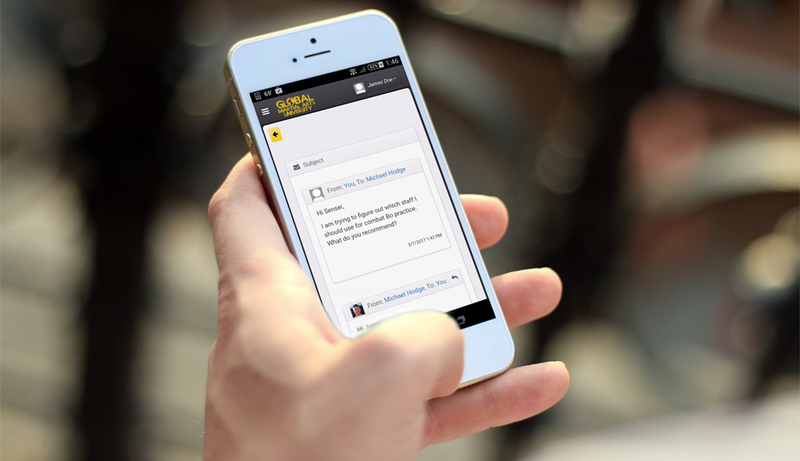 With a GMAU Krav Maga membership, you can contact message your instructor and get feedback anytime. "My name is Josh Brady. I am 30 years old and a black belt in traditional Karate, which I teach as an instructor at a school. I wanted to learn a new style of martial arts, particularly one that is very street self-defense focused. After a lot of research, I decided on Krav Maga. Unfortunately, being from a small city, there were no schools around under an hour’s drive and for a decent price for lessons. 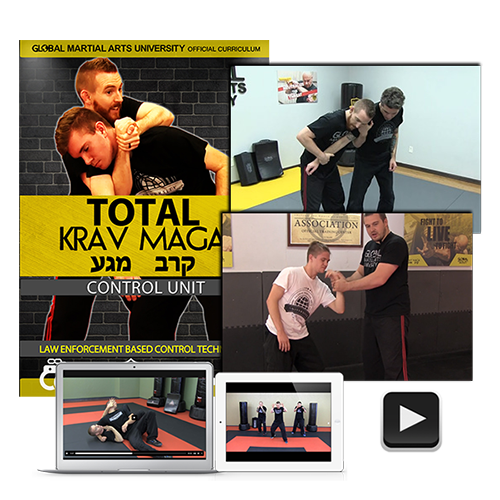 Enter Total Krav Maga from Global Martial Arts University. This course is FANTASTIC! I had three goals in mind; 1) lose weight and get back into shape, 2) learn something new, 3) gain new confidence with a new style and in turn help me be a better teacher. I can honestly say that from signing up a few months ago, I am on my way with all three of those. One of my fellow instructors from my Karate school signed up with me and we train weekly together. We always look forward to our Krav days as we are able to train together for 2-3 hours at a time practicing what we have learned throughout the week. If you want to step up your martial arts training or you have never stepped into a dojo before in your life, this course is for you. Anyone can do it! As an added bonus, you WILL get into shape. I have not been disappointed and will recommend this course to everyone. I promise you won’t regret it." My name is Kelly and I live in South Africa. 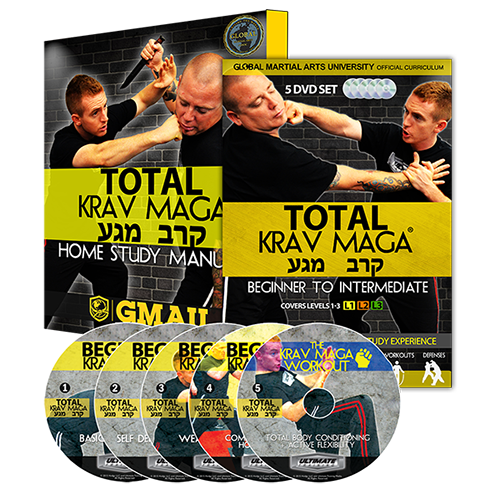 I would like to thank you for the opportunity to learn and train Krav Maga through the GMAU by training at home. Ihad been searching high and low for months, trying to find a company that teaches Krav Maga and one day, while browsing through the internet I came across your“Black belt at home” Krav Maga course. I was extremely excited to start because the material in the advertisement was laid out professionally and in an easy to understand manner. 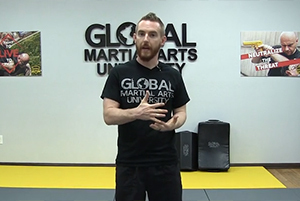 Being in South Africa, I had a problem with the rand / dollar exchange and I thought it would be impossible to enroll with the Global Martial Arts University, but Mr Hodge assisted me with my payment and within a few days I was part of the GMAU organisation. I am about to grade for my orange belt in Krav Maga and I really appreciate the material where I can see every technique executed in detail from my computer screen and then I practice these techniques at home and in a gym with my training partner. I appreciate the fact that I can do the assignments and my instructor (Mr.Koppel) can evaluate me and check my progress and highlight any technique that I need to improve on before doing the particular belt grading. Also, I have quick responses to enquiries with feedback and very helpful advice from my instructor. 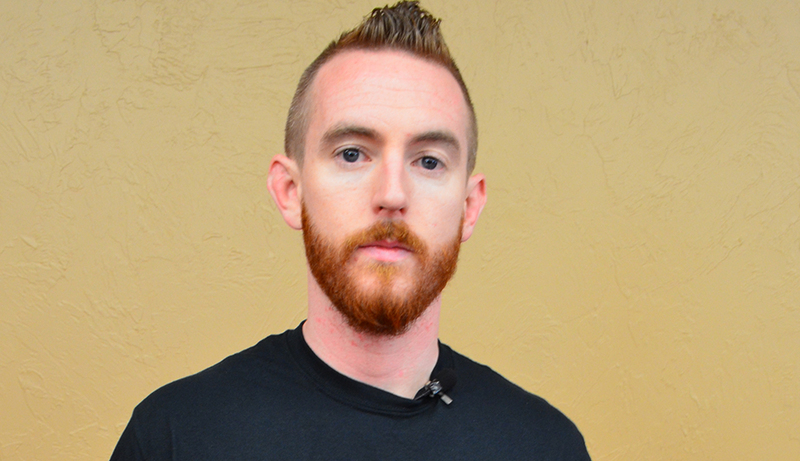 "Training in Total Krav Maga has really opened my eyes to a new love. It’s so simple yet so technical. I can’t get enough of it and I already train for 6 hours a week! 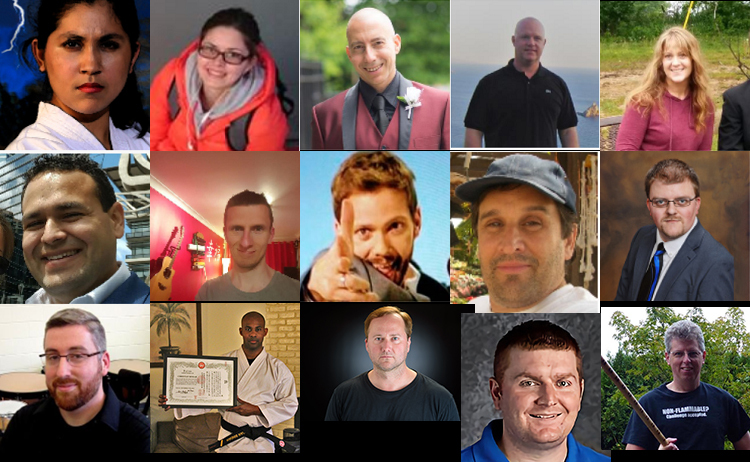 All the videos are done very well and it’s great to know that an instructor is just an e-mail away." 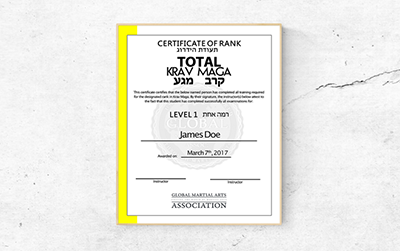 Can I become a certified krav maga instructor? 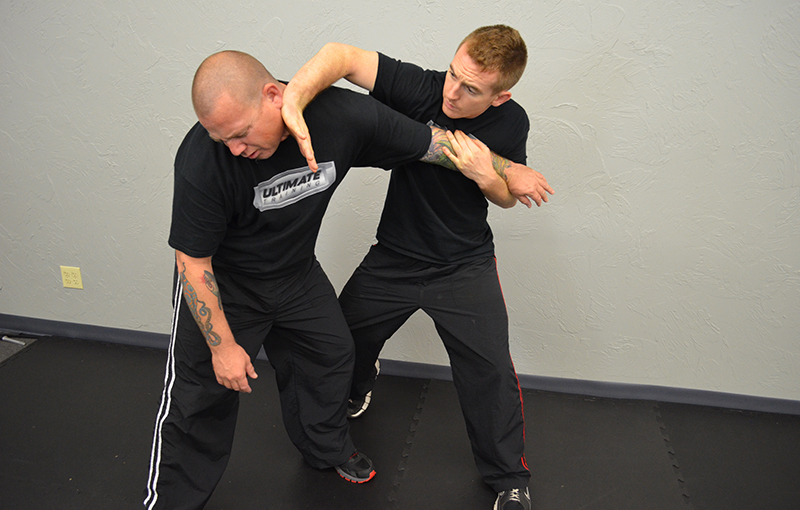 Do I need a partner to train in krav maga? Do I need to buy a training course and also a GMAU membership? 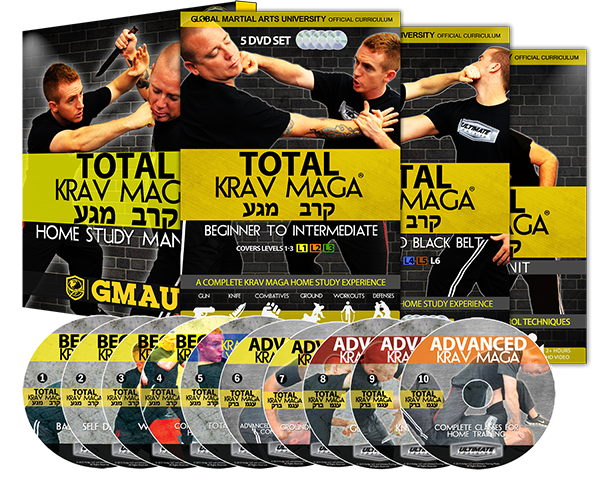 The training courses we offer on this page (Total Krav Maga) are buy once and own for life, whether it be the DVD edition or streaming/downloadable edition. These are great for training purposes. If you want to be an official student, and get access to the entire training course + more material, choose a GMAU Full Student membership. If you just buy the DVDs or one-time purchase course, you could always add on a Basic of Full Student membership at any point in the future. Copyright 2019 Hodgy LLC and the Global Martial Arts University.